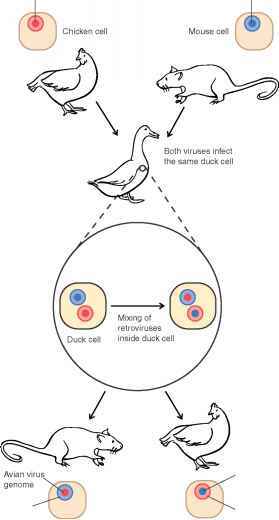 A hospital can be seen as a high-density population made up of unusually susceptible people where the most antimicrobial-resistant and virulent pathogens can potentially circulate. Considering this, it is not surprising that hospital-acquired infections, or nosocomial infections, have been a problem since hospitals began (nosocomial is derived from the Greek word for hospital). Modern medical practices, however, including the extensive use of antimicrobial drugs and invasive therapeutic procedures, have changed the nature of the problem. In the United States alone, it is estimated that 5% to 6% of patients admitted to the hospital develop a nosocomial infection, adding over $4.5 billion to the price of health care. Nosocomial infections are so common that they make up at least half of all cases of infectious disease treated in the very hospitals where they were contracted. Many of these are from the patient's own normal flora, but approximately one-third of these infections are potentially preventable. Figure 20.11 shows the relative frequency of different types of nosocomial infections. 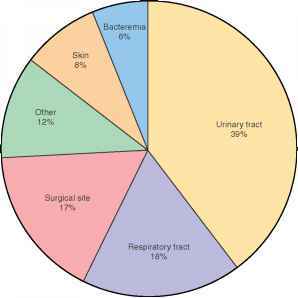 How main causative organisms of nosocomial infection? What are the causatives of nosocomialinfections?